We had a great evening with the Triumph Owners Motor Cycle Club during the week. We were kindly invited to the Rother Chapter’s AGM at the Robin Hood in Icklesham, on 14th November 2018 to receive a donation from their fundraising efforts. 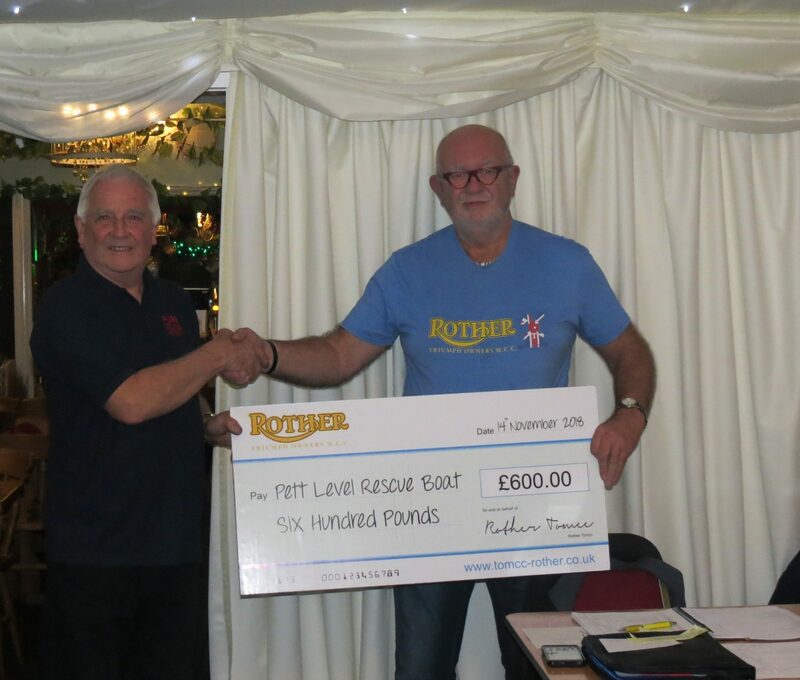 The presentation of a cheque for £600 was made at the start of the meeting, and was gratefully received by John Brooker. John gave a short talk, to pass on our thanks for this great donation and to share news on how this money will be used – for our Reserve Launch Vehicle fund. With a group who are clearly mechanically minded, it was great to be able to share some of the details about the mechanical spec of the launch vehicle in its current state, and the extent of the mechanical and engineering works which need to be carried out in order to transform the vehicle into something more fit for our purpose. John gave a good outline of the planned works and of how the money will help towards this. Sincere thanks to the TOMCC Rother Chapter, from all of the PLIRB team, both for inviting us and for your fundraising efforts on our behalf. Your donation is much appreciated and will be well spent, thank you.